Q: After listening to your show this past Sunday, you referred a caller to his existing mortgage company for a “streamline loan modification,” and stated that the last time you did this, it only cost you a few hundred dollars and immediately lowered the monthly payment. That sounded like a good plan to me, so I contacted my current mortgage lender about this. I wanted to compare the costs and monthly payment of the streamline option with a refinance to a 15-year fixed rate mortgage. From my brief conversation with a broker, he gave me a rate of 5 percent on the streamline loan modification (I’m currently at 6.625 percent) and 4.87 percent on the 15-year mortgage. It doesn’t seem to matter to them what my credit rating is, and getting a lower interest rate doesn’t seem like a possibility without buying points. But my main question with the streamline loan modification is about the length of the loan. The mortgage term would readjust to 30 years. I’ve been in my house for 10 years so I was hoping that with this new plan I would have a lower payment for the last 20 years of the mortgage. A: I’m in the process of talking to the major mortgage lenders about their streamline modification and streamline refinance policies. As you can imagine, they are in flux at the moment. We will provide everyone with more information as we get it (you can look at www.thinkglink.com/blog for details as they become available). To your question, yes, your mortgage will apparently reset for 30 years — but at a much lower balance. You are, in effect, taking out a new loan with your existing lender. After 10 years of paying down your loan, you have maybe paid off about 15 percent of the amount you borrowed. I don’t know how much you borrowed, but let’s assume you borrowed $200,000 at 6.625 percent for 30 years. Your monthly payment of principal and interest would be $1,280 and after 10 years, your loan balance would be about $170,000. 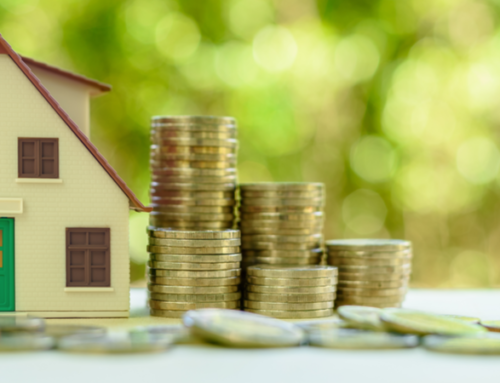 The benefit to choosing a 15-year amortization schedule over a 30-year amortization schedule is that the overall interest rate on the loan will be slightly lower. So not only do you save two more years’ worth of interest, but the overall interest rate is lower, so you’ll save even more money. I have heard that the costs for streamline refinance loans is higher than it used to be. It has been a couple of years since I last did this and while some lenders had told me that the costs were reasonable, they have clearly gone up. That’s why we’re talking to the major lenders to try to get some answers. For you to make an informed decision, you should consider what your lender wants to charge you to refinance your loan and what any other lender would charge you. You may find a lender willing to refinance your loan at the same rate, but the fees might be less. Your closing costs of $1,880 probably are in the ball park of what other lenders would charge for a refinance of your loan. The other issue for you would be is whether your current lender is making the refinance process easier for you with less documentation and less hassle. If you have to do everything over again, you might as well get the lowest priced loan for you at the lowest possible cost. But you’re right. For some people, refinancing isn’t going to help them all that much. At 6.625 percent, you’re already in a loan with an extremely low (historically speaking) interest rate. With either of these moves, however, you can do a bit better.